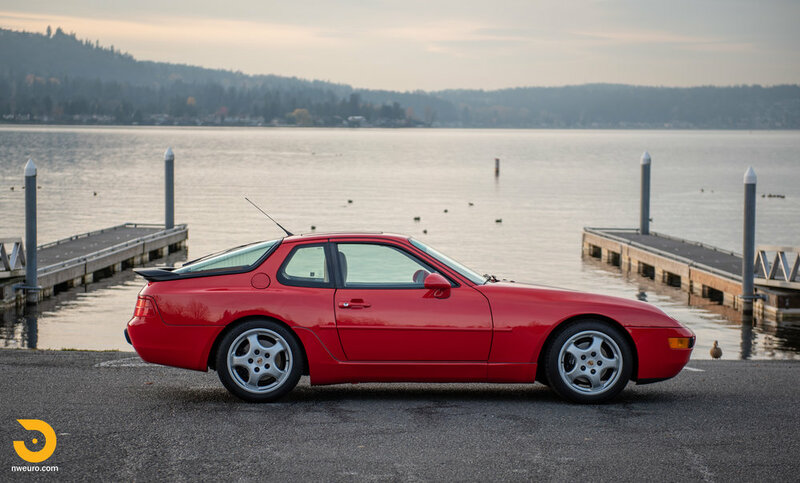 The Porsche 968 was the continuation of the original Porsche 924/944 model line. 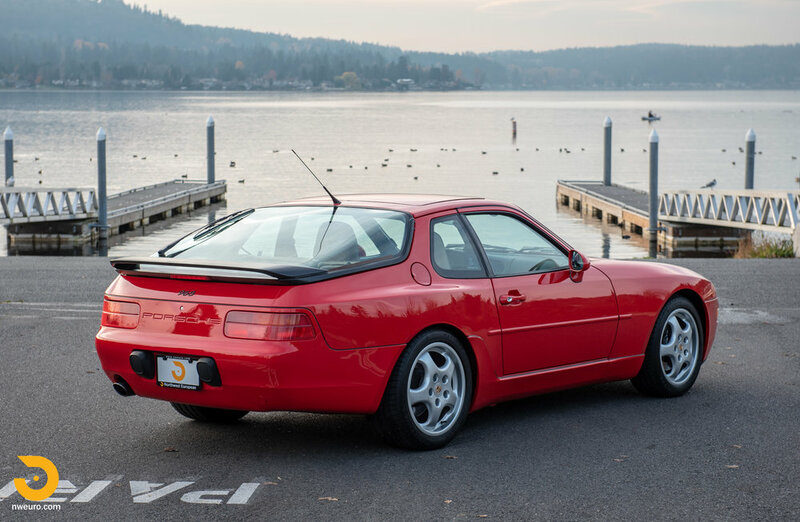 It was a replacement for the outgoing 944, and was the car that carried the 4 cylinder “affordable” Porsche mantle forward for the marque. 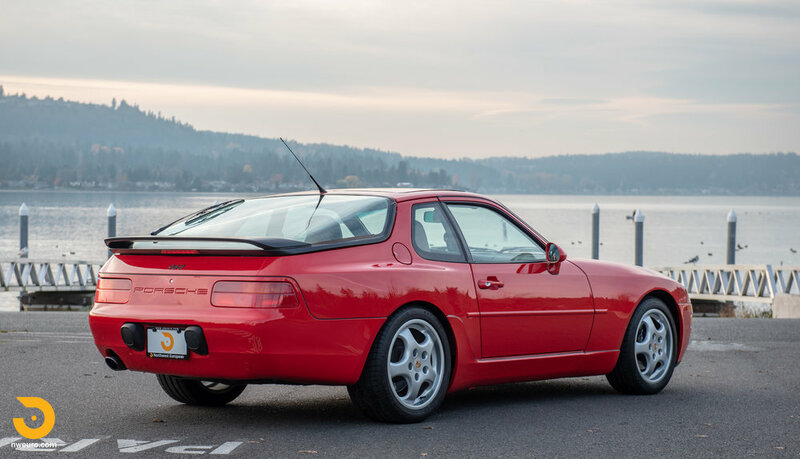 Over four models years (92-95) of the Porsche 968, less than 4,700 cars came to the United states, and half of those were coupes. 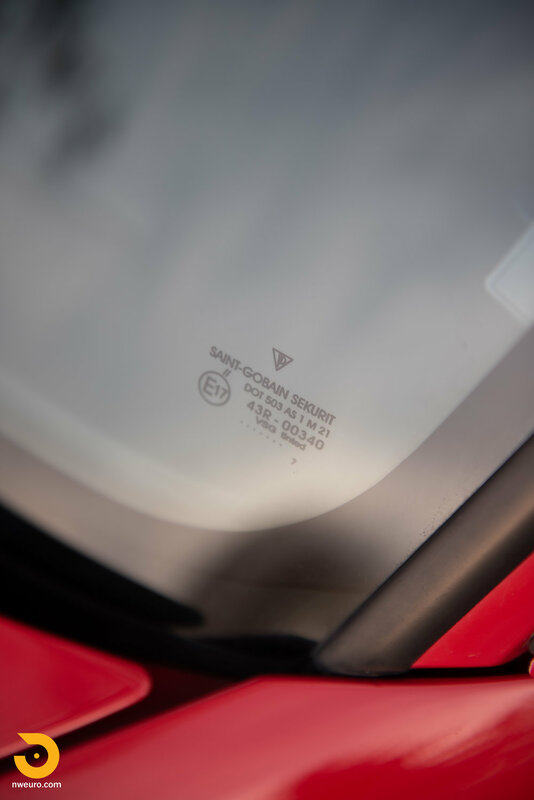 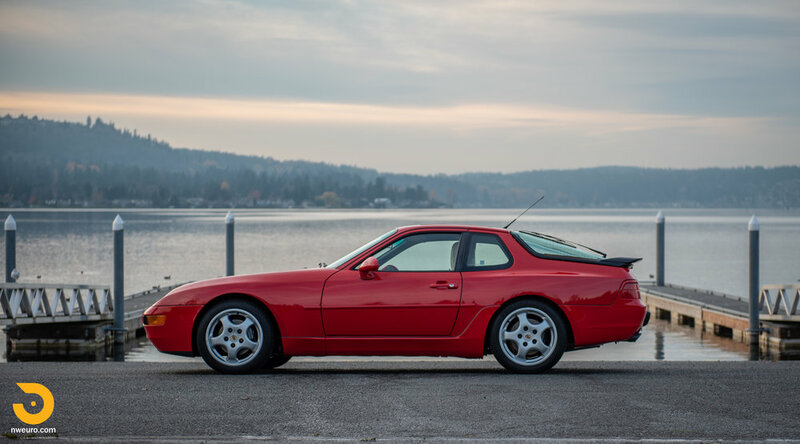 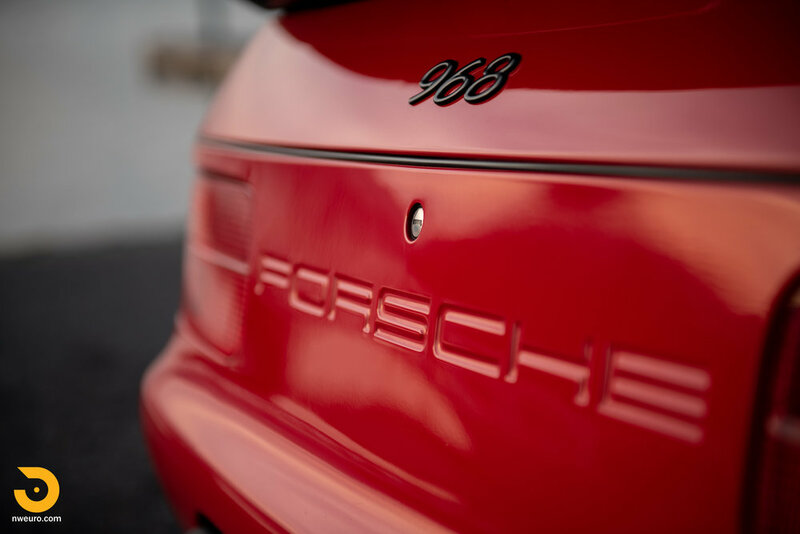 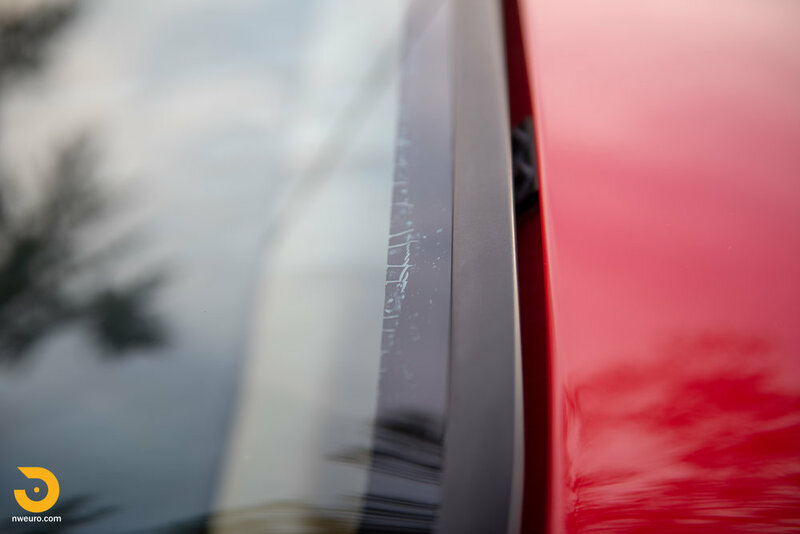 Sometimes referred to as the 944 “S3” variant by Porsche executives during the original planning process, the car ultimately became named the “968.” The car shares numerous major sub-components from the 944. 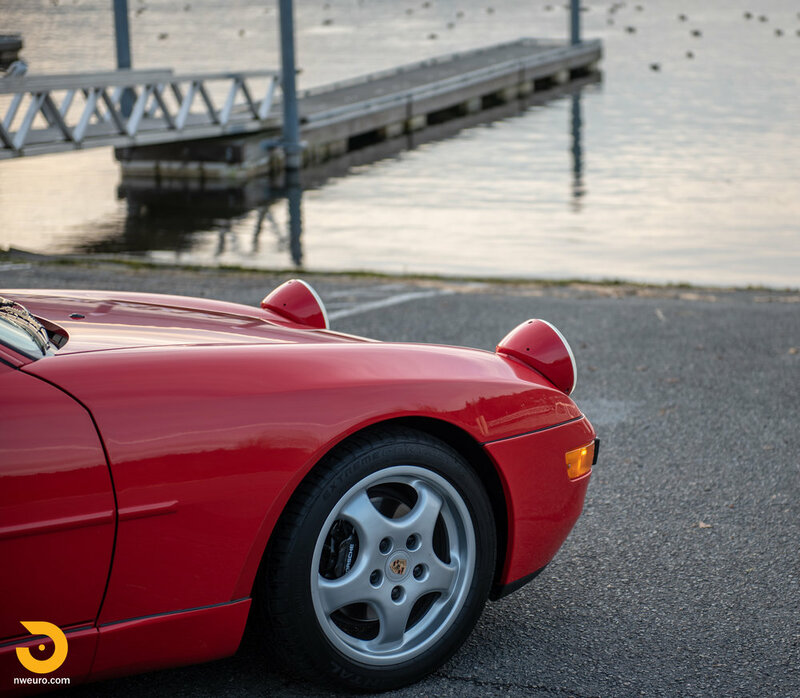 These included the 3.0L engine, Brembo four-piston brake calipers at all corners, the aluminum trailing arms, and aluminum front A-arms. 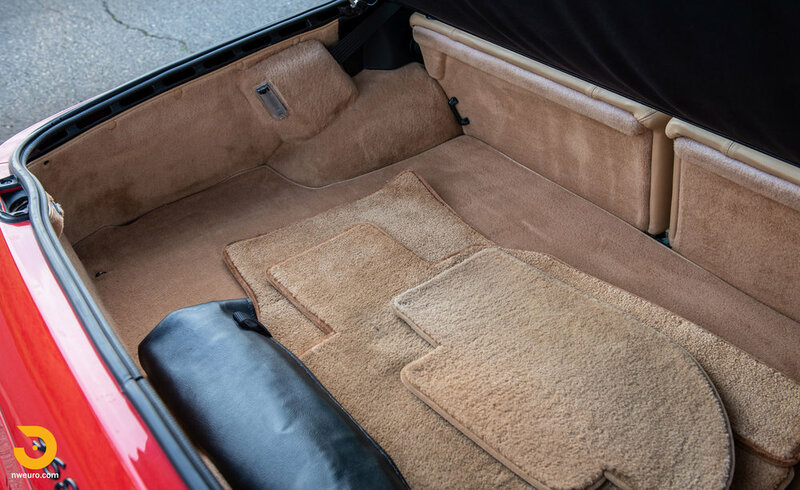 The steel unibody structure was also very similar to that of the previous model, but with more streamlined looks and added luxury throughout the cabin. 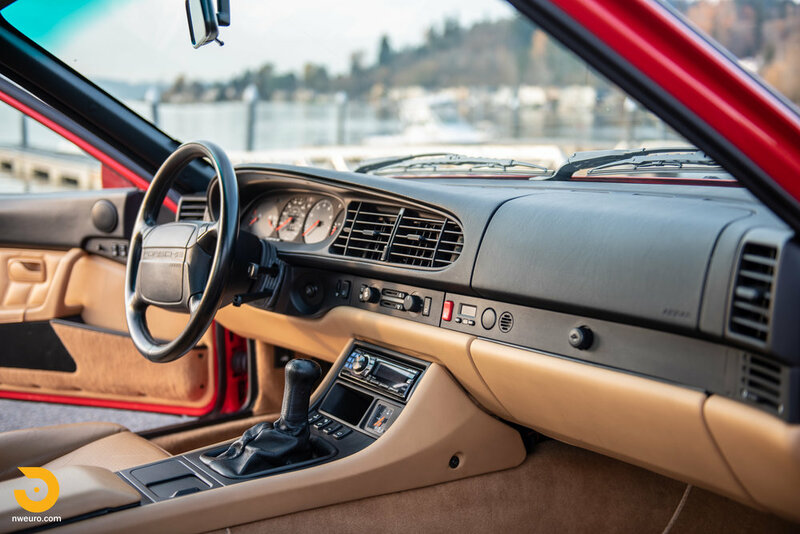 While largely based on the 944, the overall design was fresh looking and pointed at the upcoming 993 design that would debut shortly. 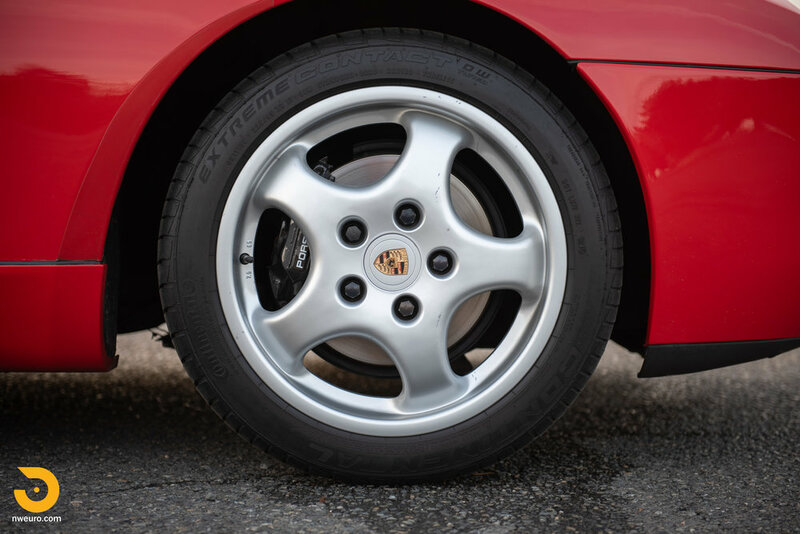 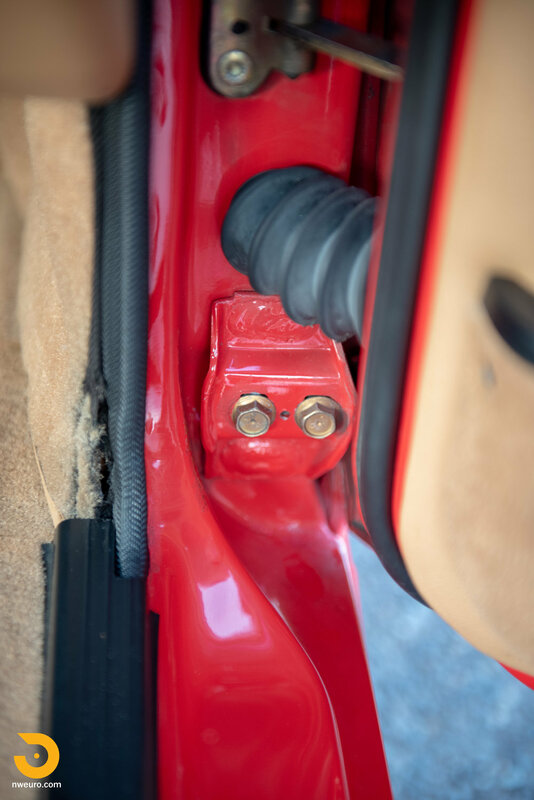 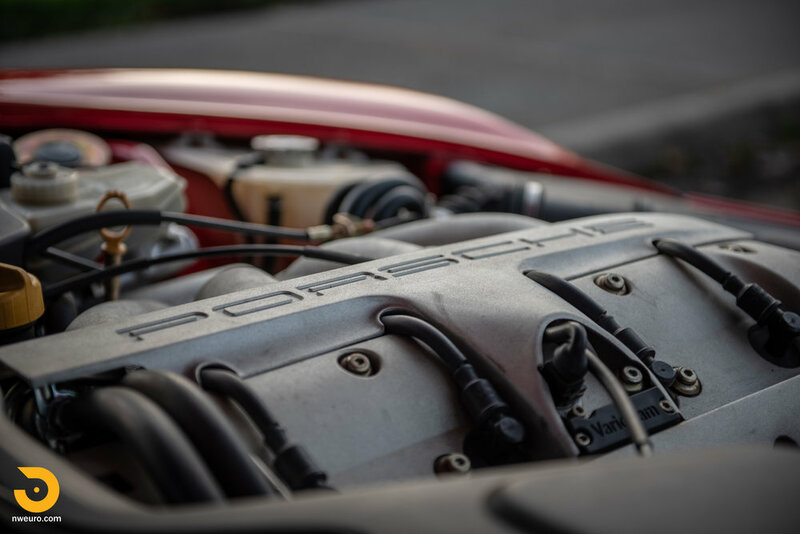 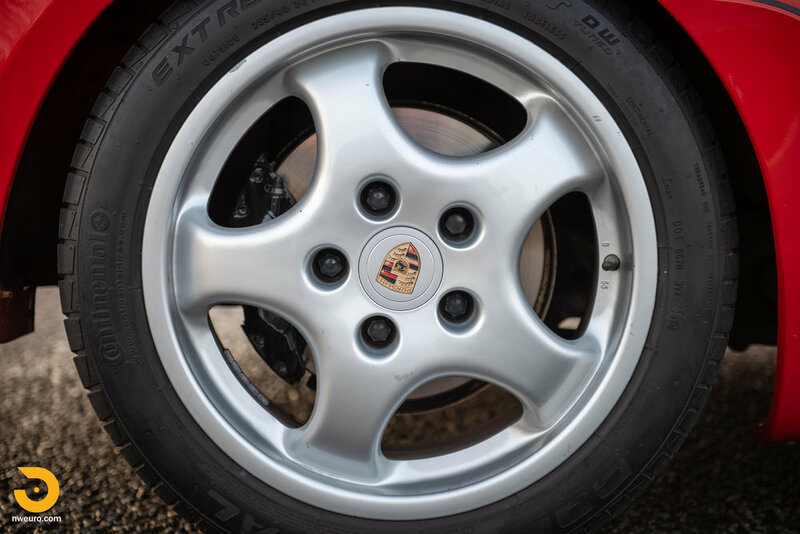 The Porsche 968 welcomed the first use of the 6-speed transmission on this platform, as well as VarioCam – Porsche’s variable intake camshaft control. 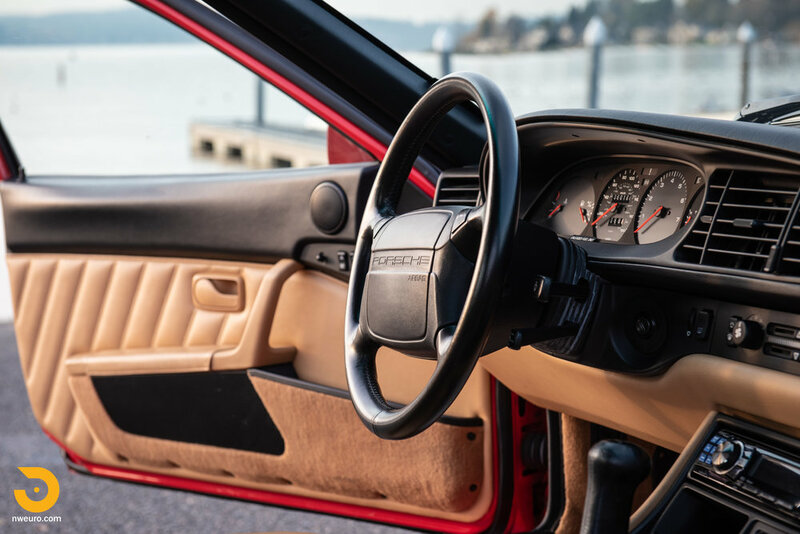 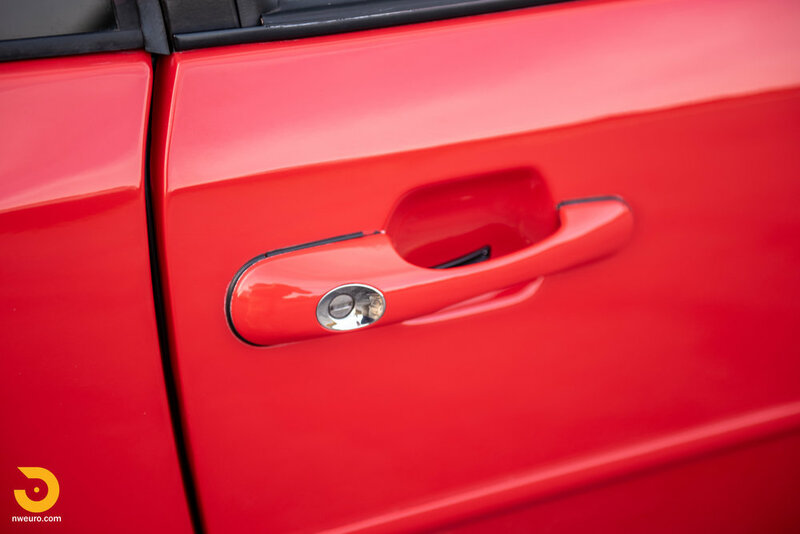 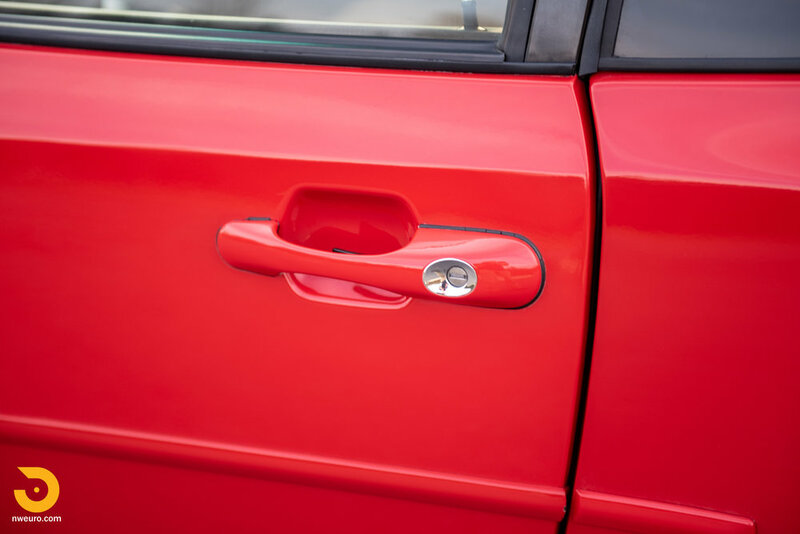 Manufactured in April of 1992, the car here was delivered in Guards Red over Cashmere Beige. 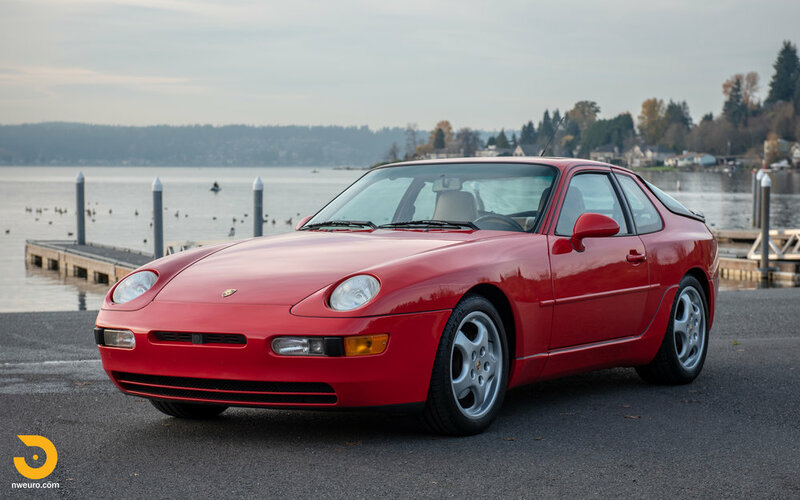 This 968 was ordered from the factory with limited slip diff, sport seats, Porsche crest wheel caps on the 17” alloy wheels, protective side moldings, and remote 6-disc CD changer. 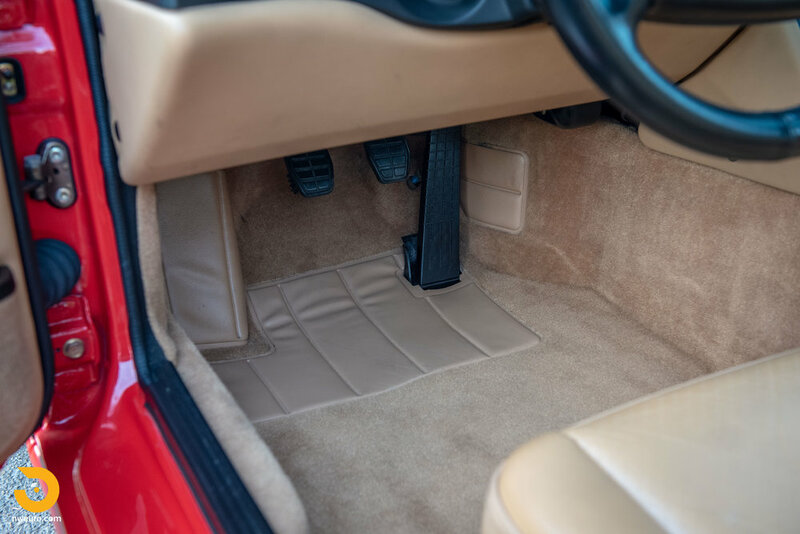 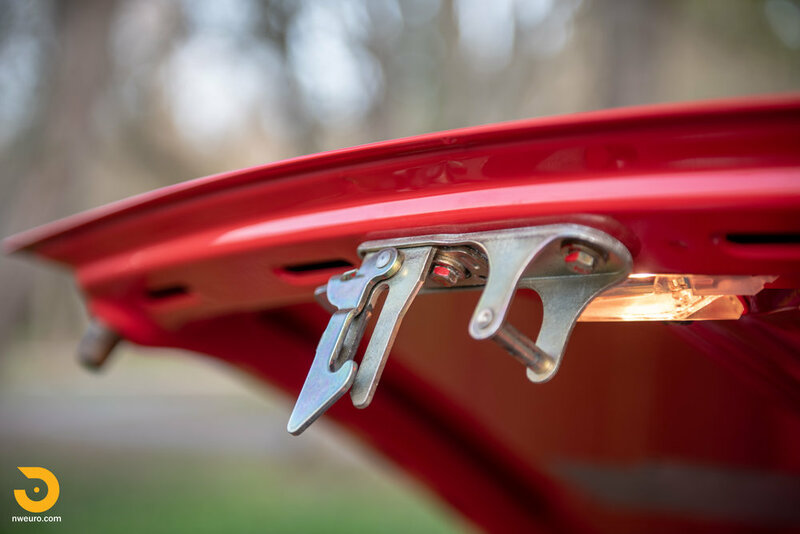 The original owner in Indiana owned this car for 16 years and during his ownership, it accumulated 42,000 of the current 60,000 miles showing. 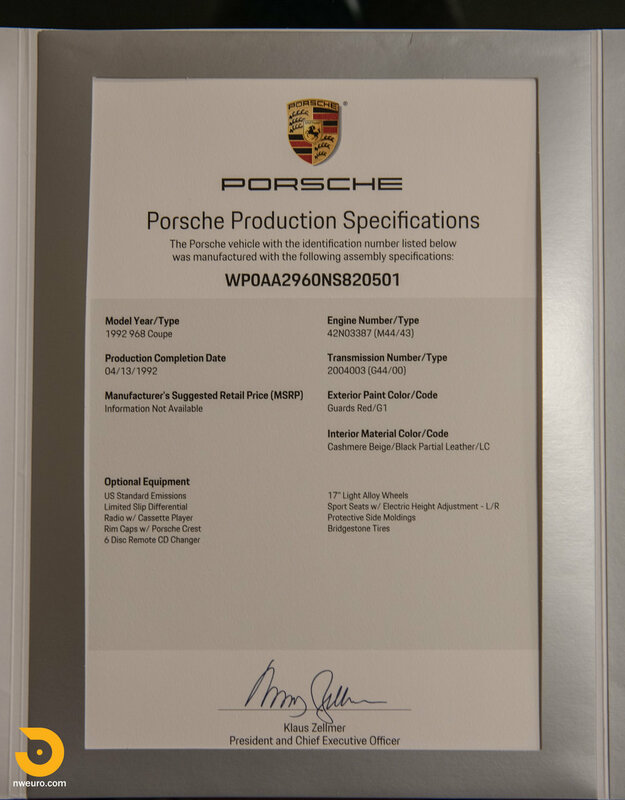 It was traded into the local Porsche dealer in Indianapolis in 2008. 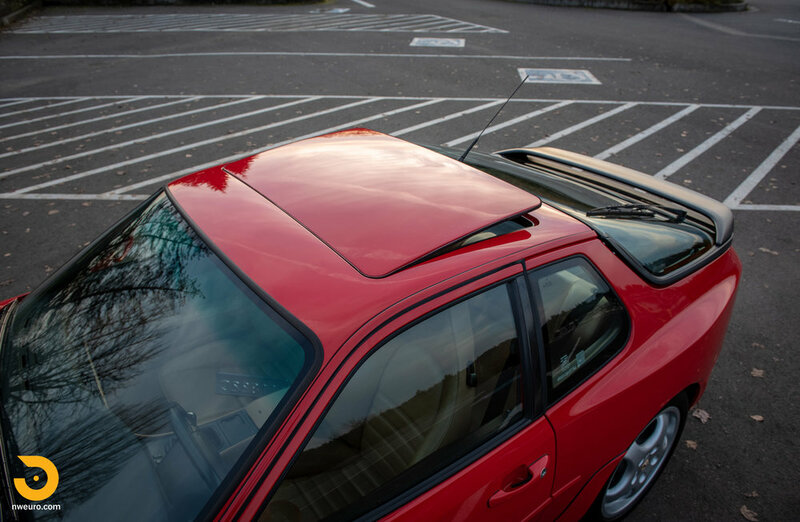 The car then had owners in Virginia and Ohio through 2015, and then it landed in Oregon in 2015 before the most recent Washington State based owner acquired it in early 2018. 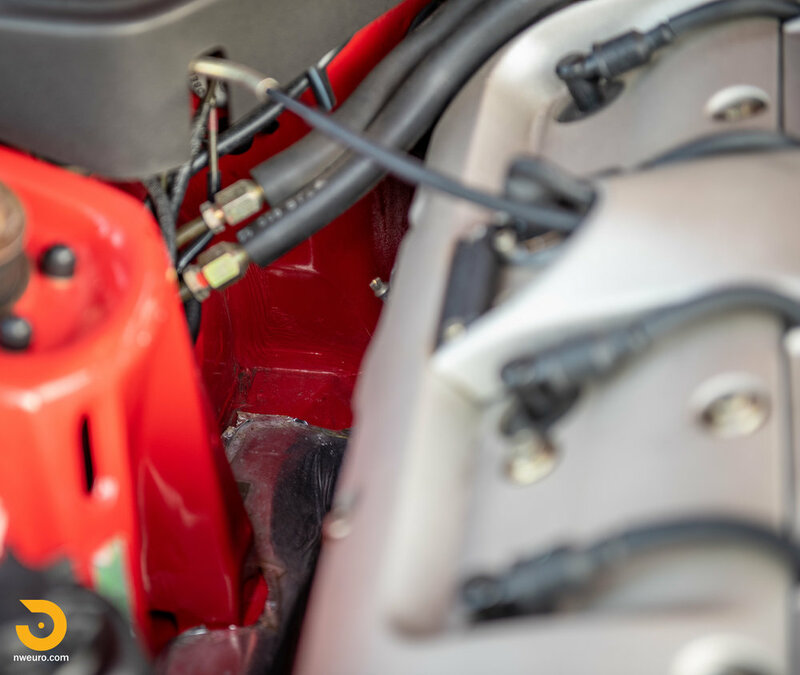 Mechanically the car is in top notch shape. 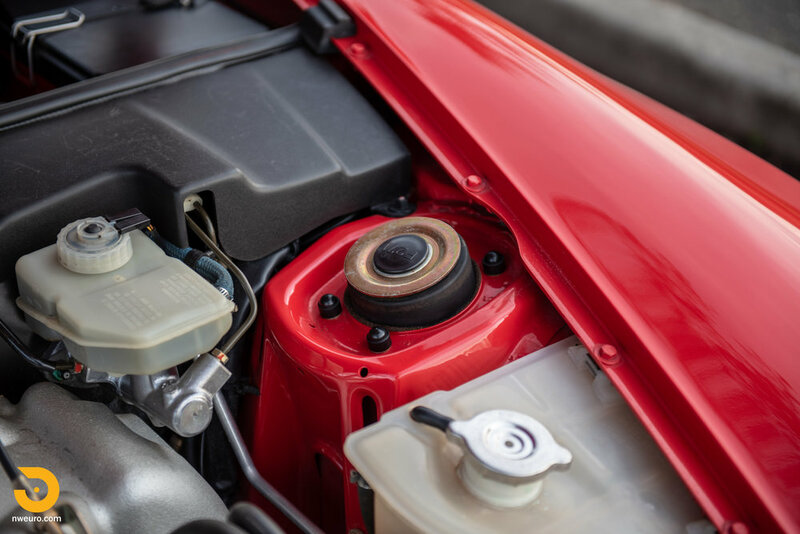 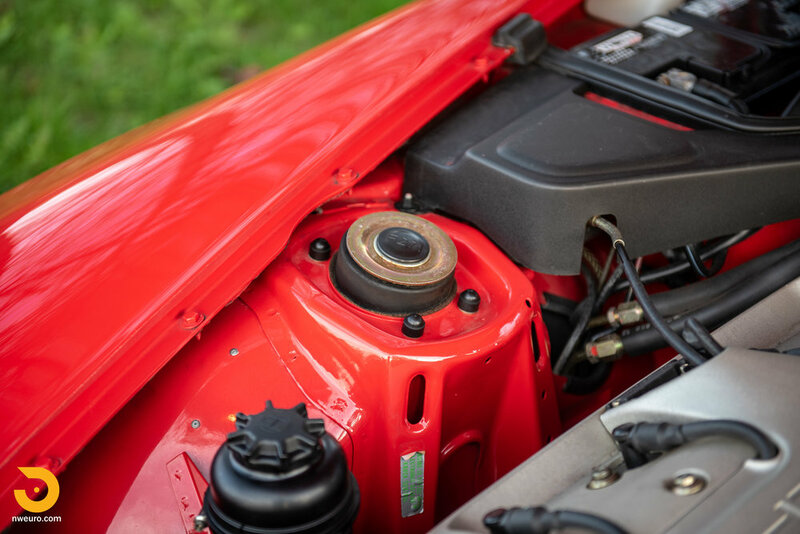 During 2018, the car has seen new engine mounts, A/C service, a new battery, and a full alignment. 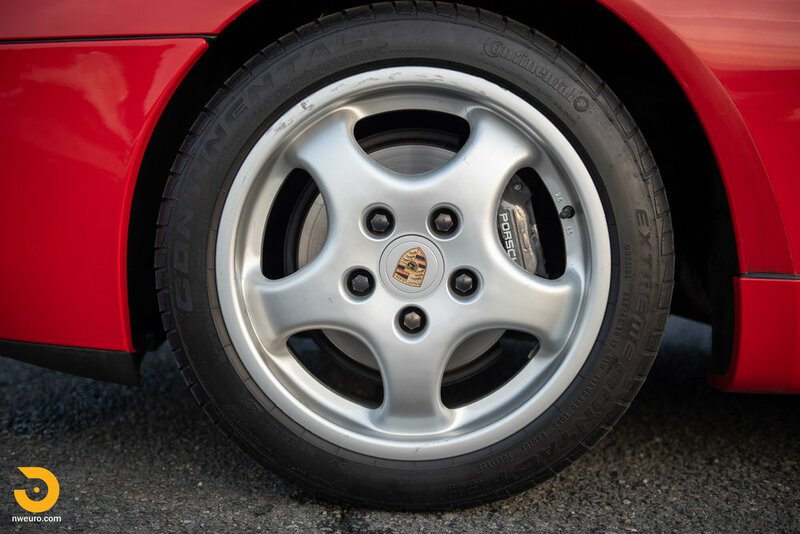 The tires are three years old, and brakes are noted at 60+% at the last inspection. 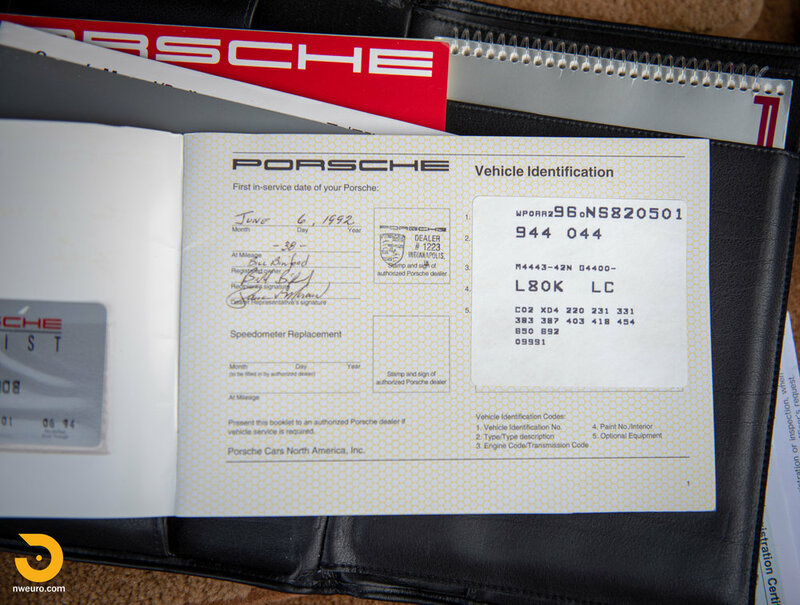 Service records go back to 1992 in the file and show routine regular maintenance from new. 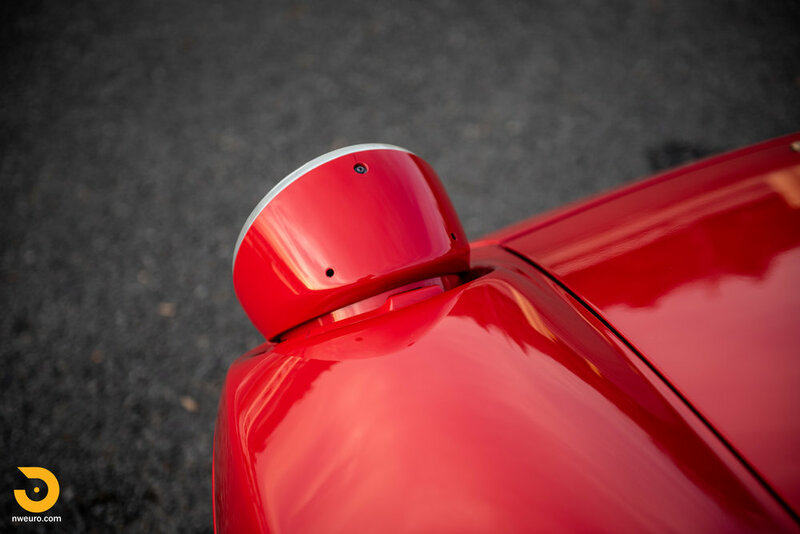 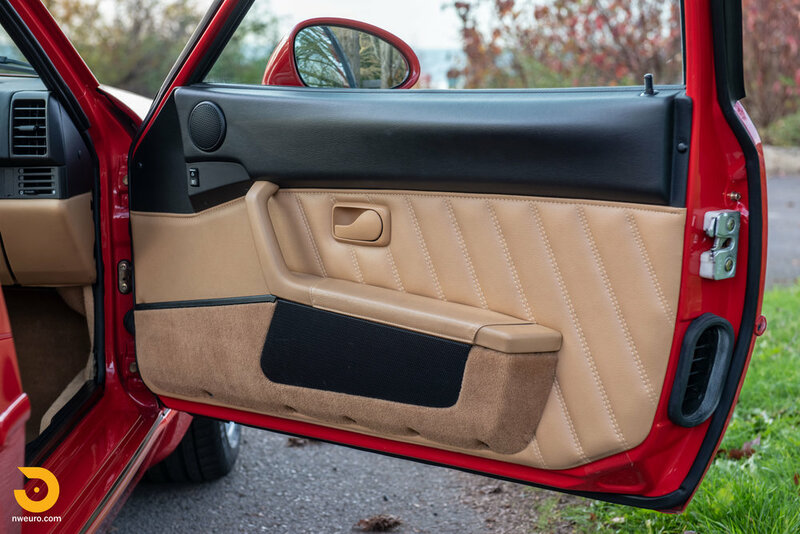 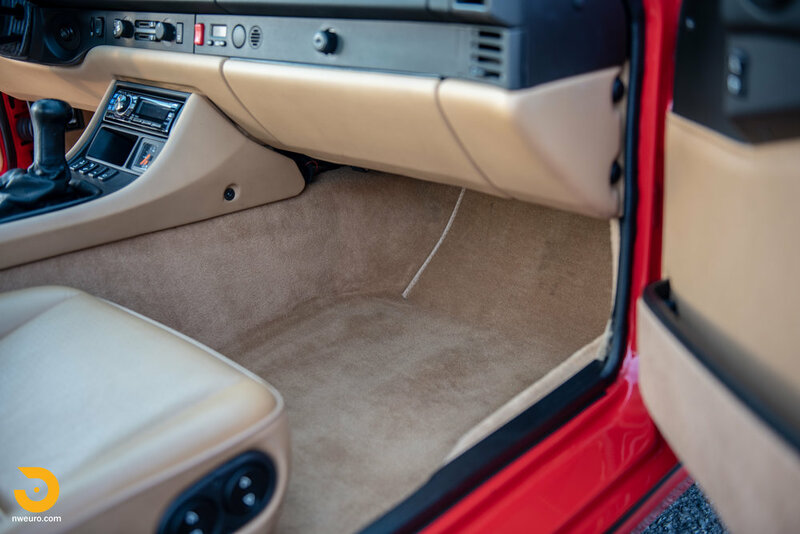 The cosmetic condition of this car is better than most 968s – most finishes are original and in excellent condition. 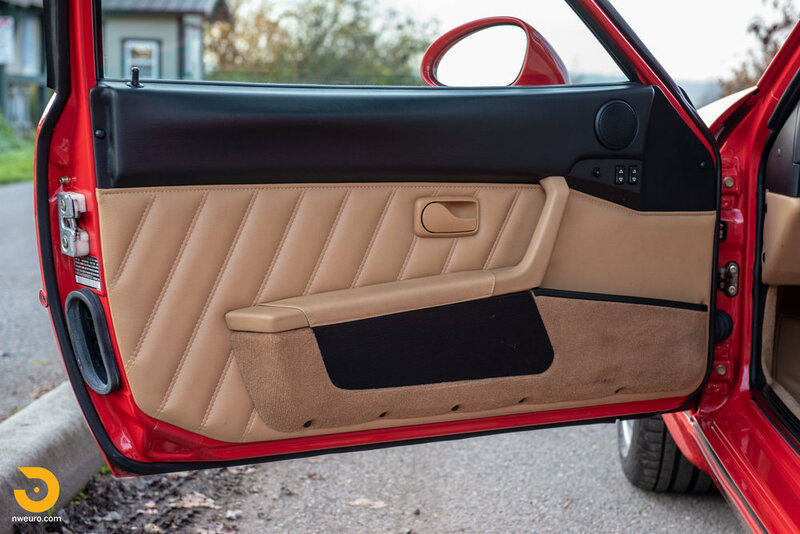 The paint is original on all panels other than the right front fender, and the rear bumper cap that was recently resprayed. 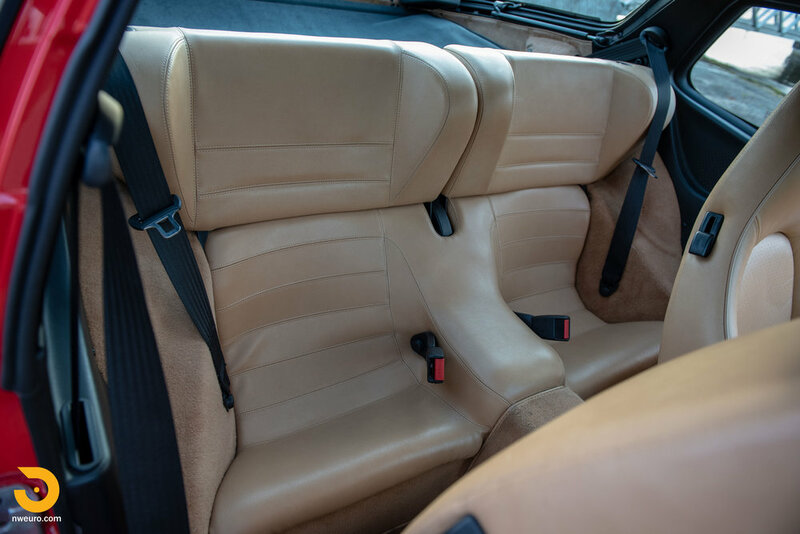 The overall interior is in amazing condition, showing a life of careful use and care. 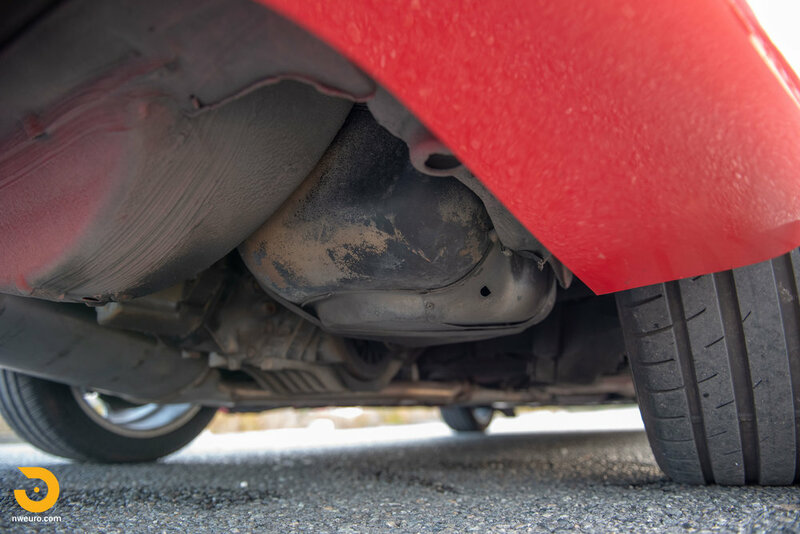 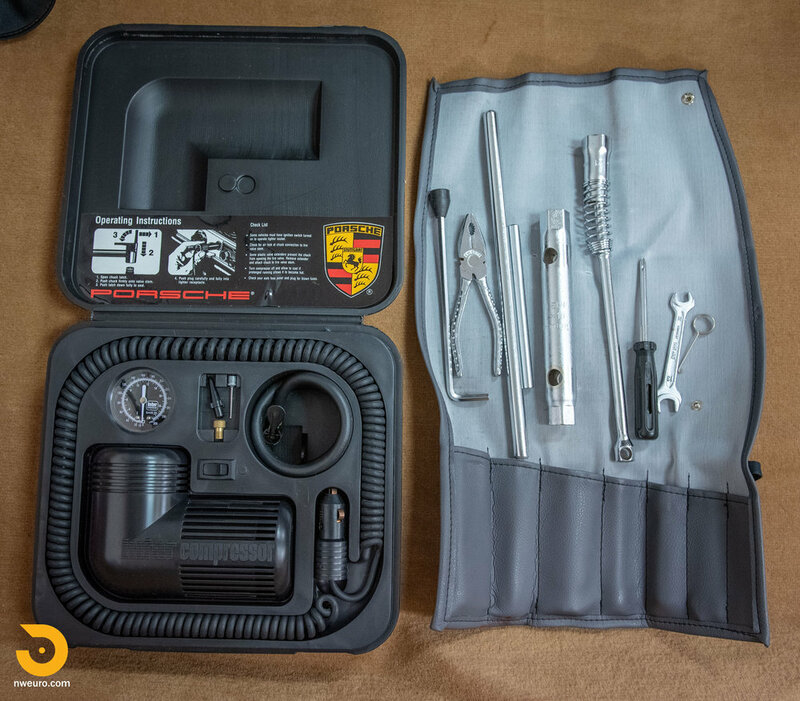 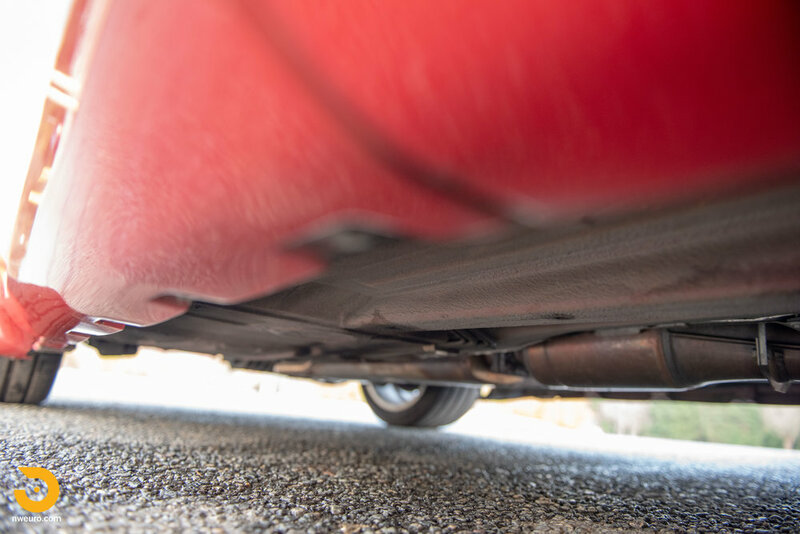 The undercarriage and suspension also look fresh and dry – the car has only lived in dry climates, which you can immediately see upon inspection. 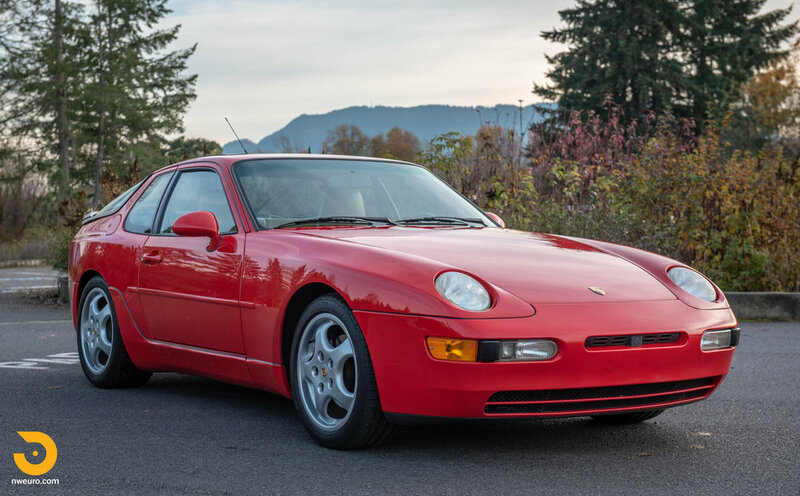 This Porsche 968 is offered for sale in excellent original condition, with all books, manuals, original window sticker, Porsche Production Specifications (PPS) document, and a wonderful documentation file, showing records back to 1992. 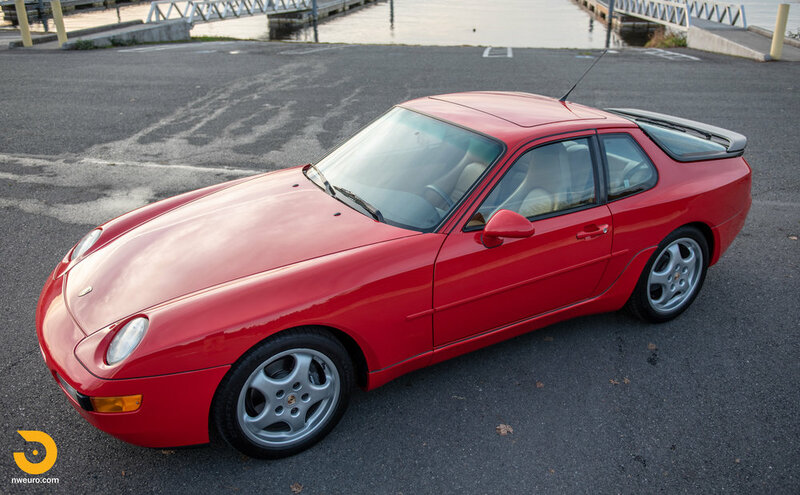 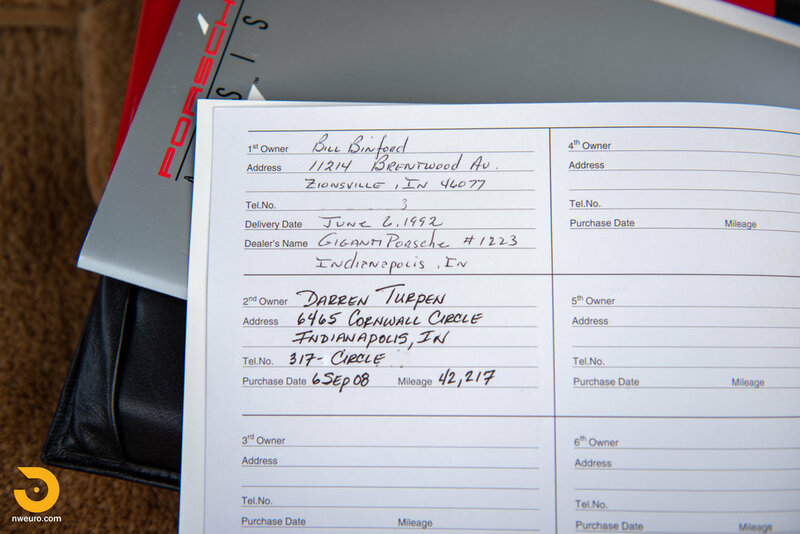 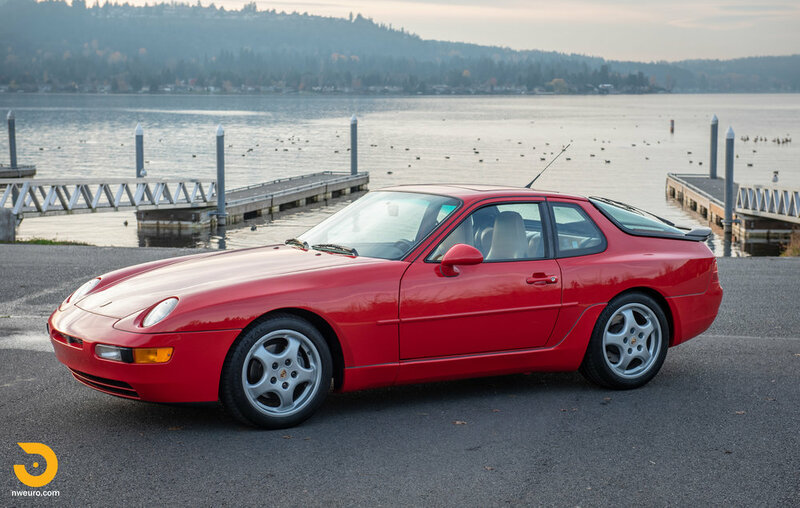 If you have been waiting for an outstanding 968 to hit the market – here is your chance. 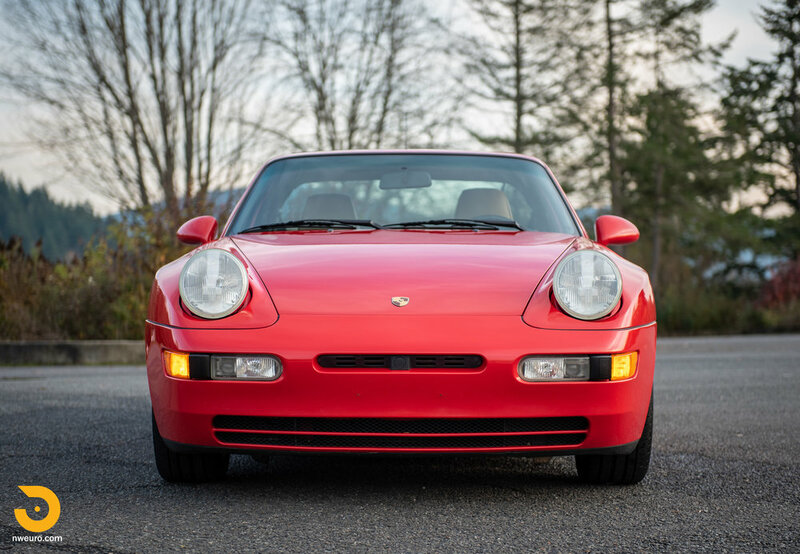 Please contact Jason Harris at +1-206-355-7727 for more information on this 1992 Porsche 968 for sale.